Hon. Michael R. Panter, (Ret), is a senior mediator and arbitrator at ADR Systems with more than 40 years of legal experience. While on the bench, Judge Panter settled a variety of cases, including medical malpractice claims, construction accidents, motor vehicle accidents, and commercial cases involving contracts, property damage and fire subrogation. Before becoming a judge, he was an active trial lawyer with his own law firm for about 30 years. He tried, settled, mediated, and arbitrated numerous cases. 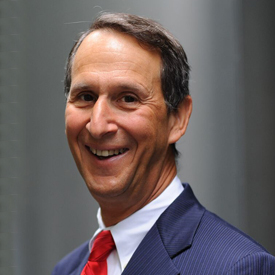 Immediately prior to becoming a judge, Judge Panter was a full-time faculty member at DePaul University College of Law where he founded DePaul’s Litigation Lab, a hands-on educational program for law students that has been the subject of numerous articles. Judge Panter is known for his thorough and intelligent approach to settlements and the boundless energy he brings to the dispute resolution process. Four days after leaving the bench, settled a trucking injury case for $20 million when called in after the start of the trial. Settlement rate is over 90%. On the bench, held hundreds of successful pre-trial settlement conferences at the lawyers' request in cases pending on other judges' calendars. Have settled numerous eight figure cases. Cases involving medical, legal and architectural malpractice claims; attorney fee disputes; coverage; third party elevator cases; trucking, transportation and railroad cases; numerous wrongful death, birth injury and catastophic injury cases; pendant claims and liens; breach of contract; corporate disputes; construction disputes; subrogation including fire; school, police and municipal cases; defamation; wide spectrum of commercial and tort cases. Numerous multi-party cases including multi-party product liability, transportation and subrogation cases; catastrophically injured medical malpractice cases with multiple parties; combined negligence and contract claims; toxic tort; complex construction cases, and many other multi-party cases. As a lawyer, tried over 50 cases to jury verdict, including two legal malpractice cases (one case concerned a complex private offering, one concerned the handling of a civil rights prisoner death case); breach of contract, covenant not to compete, and piercing the corporate veil, $5.3 million complex multi-party construction case, insurance coverage and other bench trials. 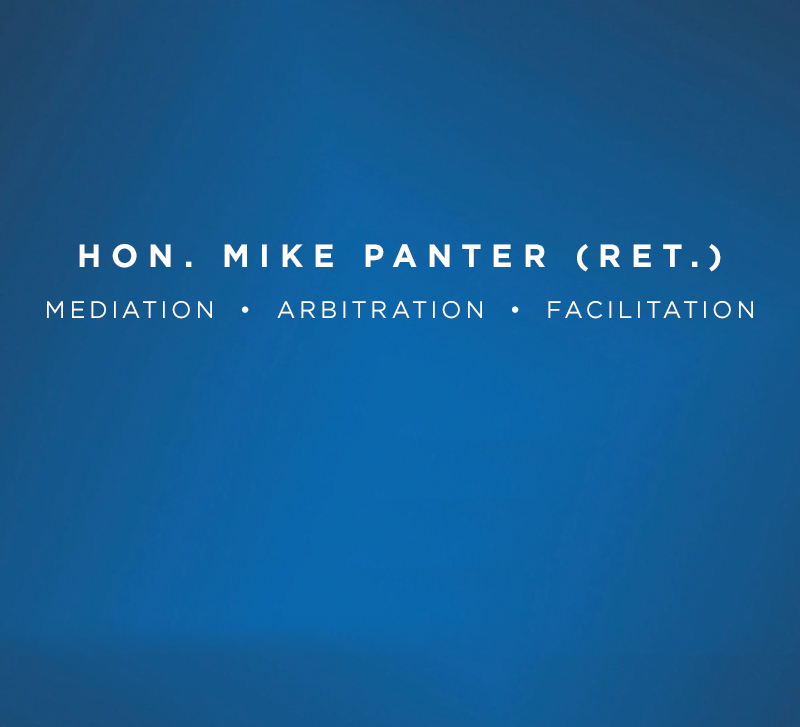 For mediation/arbitration, contact Judge Panter at panterm@mikepanter.com.